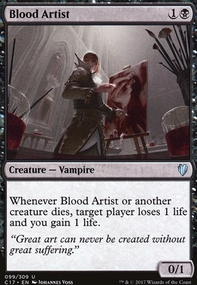 Whenever an opponent casts a non creature spell, that player loses 2 life and you gain 2 life. 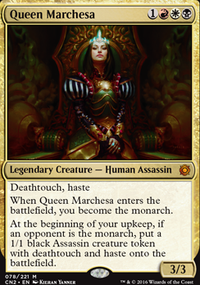 multimedia on YOUR QUEEN DEMANDS A SACRIFICE!!! 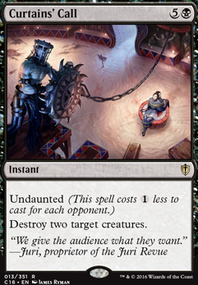 Consider more mana rocks to potentially ramp into Teysa faster? 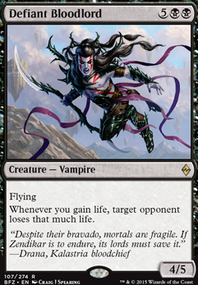 More mana rocks are also good with several of the higher CMC creatures here. 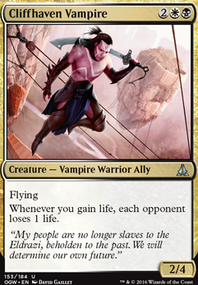 Consider expanding on the getting value from gaining life gain strategy, it makes your deck more unique. 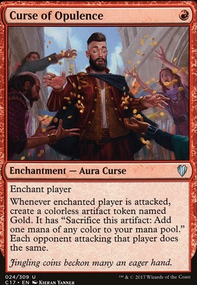 Thought Vessel or Mind Stone : ETB untapped and no max hand size is very helpful when drawing a lot of cards. Reliquary Tower : ETB untapped and no max hand size. Fellwar Stone : ETB untapped. 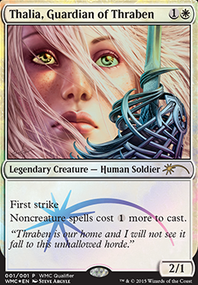 Reveillark : if Lark leaves the battlefield as a result of it dying then it will trigger Teysa or any other dies abilities. 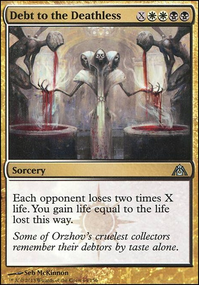 Carrion Feeder : one drop no mana cost sac outlet. 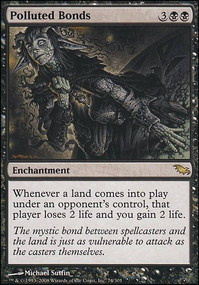 Ash Barrens : discard it to search for a basic land or ETB untapped to make colorless. 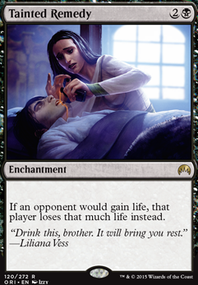 Tithe Taker : afterlife, make it harder for your opponents to cast spells or activate abilities during your turn. 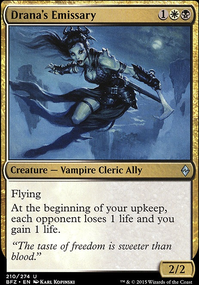 Luminarch Ascension : powerful card in multiplayer Commander because it looks at each opponents end step. 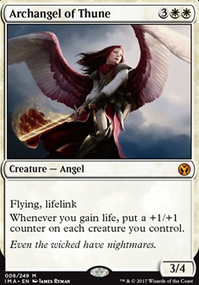 Repeatable source of 4/4 Angels tokens. 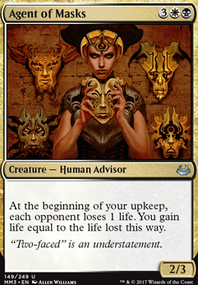 Pristine Talisman : gain life and ramp. 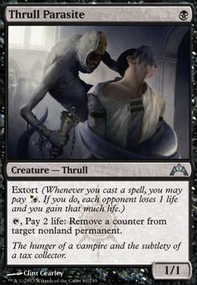 Ayli, Eternal Pilgrim : sac outlet, life gain, repeatable exile of nonland permanents. 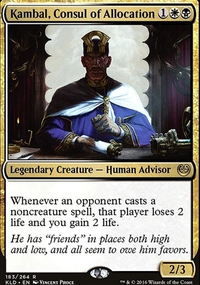 Kambal, Consul of Allocation : can make opponents lose a lot of life and you gain life in the course of in multiplayer game of Commander. 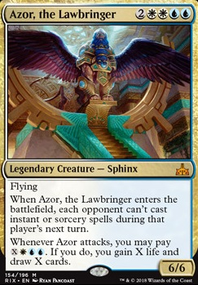 These cards are by no means bad cards they just have less impact then other cards in your deck and they cost too mana for what they do. 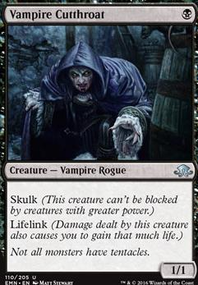 I would suggest Urborg, Tomb of Yawgmoth in place of Stirring Wildwood . 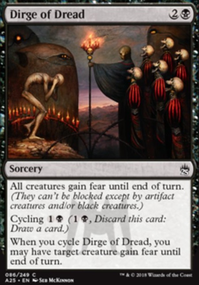 Also, 24 lands seems appropriate. (9 4cmc cards with no ramp). 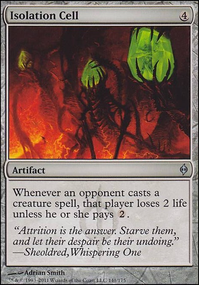 Mutagenic Growth seems unnecessary. Kambal, Consul of Allocation should be in the SB. 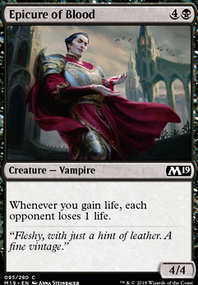 Swap it for a Thoughtseize . Also, if you're gonna run green, run Assassin's Trophy . 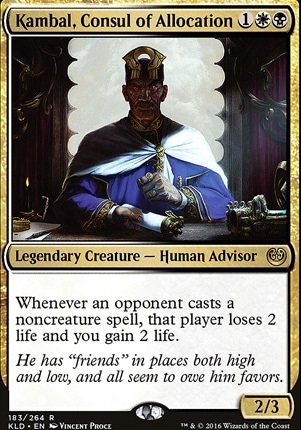 If you're gonna run white, run Path to Exile .